Mumbai - The benchmark BSE Sensex recovered over 56 points in early trade on Thursday on emergence of buying by funds and retail investors amid a mixed trend in global markets. The 30-share index rose 56.30 points, or 0.21 percent, to 26,370.59 with sectoral indices, led by consumer durables, IT, oil & gas, realty and auto gaining up to 1.95 percent. The index had lost 106.38 points in the previous session after profit-taking emerged at record levels. 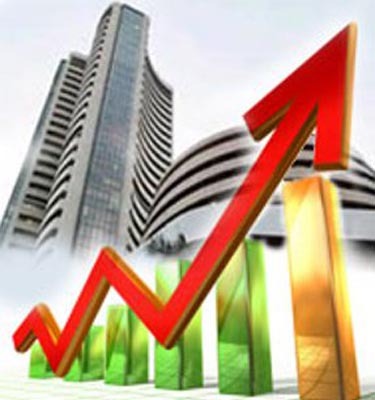 The National Stock Exchange index Nifty also gained 14.55 points, or 0.18 percent, to trade at 7,889.85. Brokers said buying by funds and retail investors at select counters amid a mixed trend in other Asian markets after US markets posted gains yesterday as Federal Reserve minutes suggested interest rates may be hiked sooner than expected, influenced trading sentiments here. Besides, reports of foreign funds remaining buyers in yesterday's trade on the Indian bourses supported the recovery, they said. Among other Asian markets, Japan's Nikkei was up by 0.50 percent, while Hong Kong's Hang Seng shed 0.28 percent in early trade today.